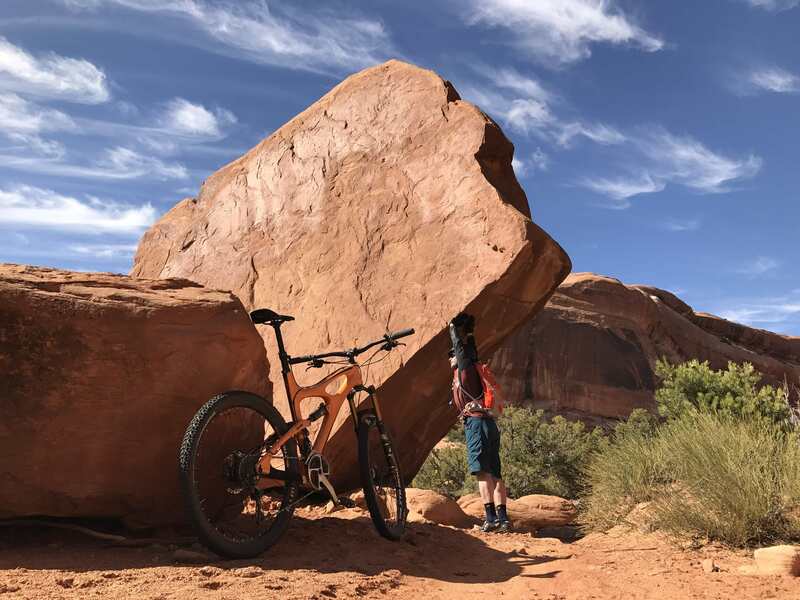 In the spirit of the season when I went back to Moab last week I rode Bartlett Wash and Jedi Slickrock. These short rides are off the beaten path. They offer huge fun as you bomb over drops, down into bowls, and on the edge of beautiful slickrock. But, there is no specific trail, so you need to be careful as some of the bowls drop fast. There is a wide variation in color in this truly unique area. And the grooves in the slick rock look like they were professionally paved. It is photographers dream out here. Right across the road from Barlett Wash is Jedi Slickrock. It’s a little hard to find, and not well marked. My friend Anthony scheduled a meetup today to hike up from the Longs Peak trail head to Chasm Lake. It was a perfect day – sunny and warm with almost no wind. We crossed a somewhat sketchy face with no issues, and got up to the lake by noon. We ventured out onto the ice slowly and realized by looking at the frozen bubbles that the ice was at least a foot thick, so folks starting skating all over. It was such a fun experience. Be sure to check out this hike done in the summer. North Table Mountain in Golden is just a few minutes outside of Denver off I70, is an easy ride, and offers great views of the city. I rode on a beautiful day in October with the fall color in full bloom.